In conjunction with the event, MACC’s “Party On The Porch” tradition continues with an informal get-together on the porch of the Hotel Conneaut at Conneaut Lake Park, Friday and Saturday evenings, August 24 and 25. Enjoy ERT on Blue Streak, Ravine Flyer II, Comet & Steel Dragon! Plus a photo walking tour inside Waldameer’s Comet! Parking is always free at Waldameer and is usually free at Conneaut Lake Park, though there is sometimes a $5 charge. Get event updates, and information on the Flying High with a Blue Streak Facebook event page. 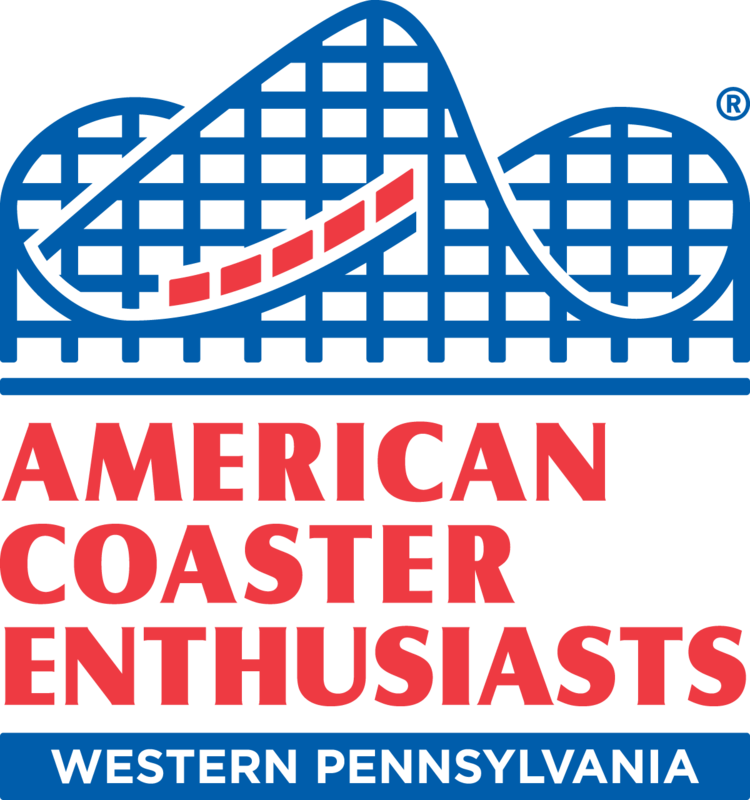 Season Passholder Discount - Note: Season Passes must be shown at registration, otherwise difference will be charged! The payment of registration fees by, for, or on behalf of participants releases and holds harmless Western New York Coaster Club (WNYCC), American Coaster Enthusiasts Inc. (ACE) and their Officers, committee members, Executive Committee members, regional representatives and other representatives from any and all liabilities related to Flying High with a Blue Streak. 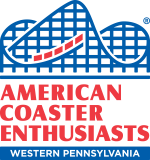 All registrants hereby agree to abide by all park rules and regulations as well as the Code of Conducts for enthusiast organizations of which they are a member. **Non-member guests must register on the same form as the registering member they are accompanying. “Member” in this case refers to both members of WNYCC or members of another club co-hosting or invited to an event. Both members and their guests must abide by the WNYCC code of conduct. Members are responsible for their guest’s behavior as it relates to this code. The code covers violations of the laws of the land, or of the amusement or theme parks; failure to meet financial obligations to WNYCC; detrimental conduct; and violations of the Constitution, Bylaws, or other enactments of WNYCC. Detrimental conduct shall include any violations of the purpose of WNYCC (to promote the preservation, appreciation, knowledge, and, especially, the enjoyment of roller coasters, past and present; to create and promote among and between its members a tie of fellowship; to maintain good working relations with the parks and operate in harmony with their policies); or of the rights of its members.